An incredible array of spectacular locations can be found within the fantastical Wizarding World, although none are more famous than Hogwarts School of Witchcraft and Wizardry. 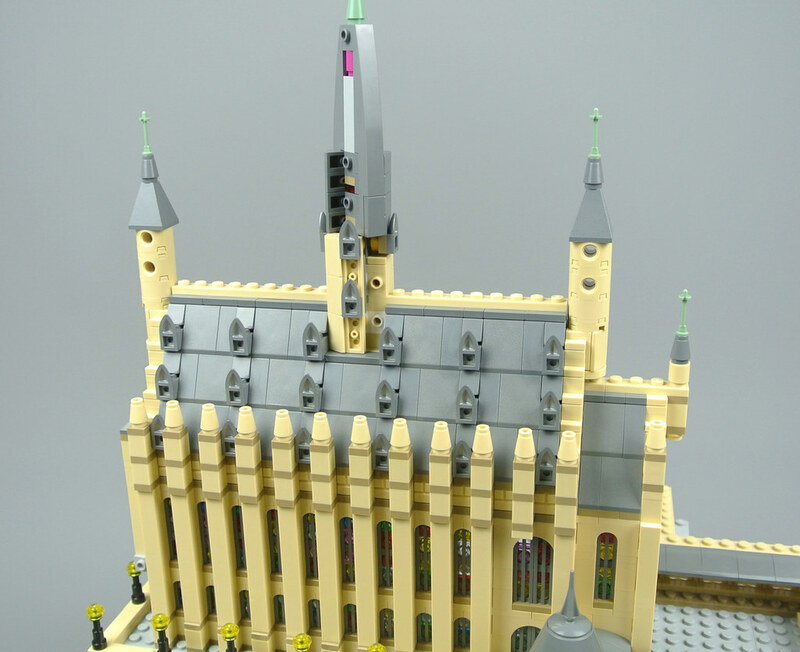 This magical institution has provided inspiration for several previous LEGO sets, each offering excellent play value but not necessarily capturing the majestic appearance of the subject matter. 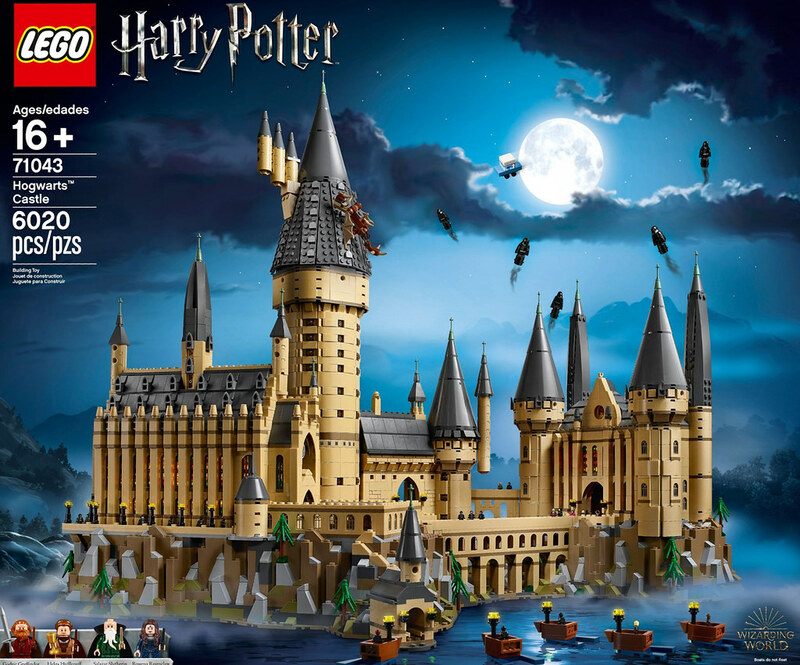 71043 Hogwarts Castle is therefore an exciting set and it received an overwhelmingly positive reaction when it was revealed a couple of weeks ago. I have certainly been looking forward to building this vast set and approach the review with high expectations, especially since its 6020 pieces mean that this is the second largest set ever produced by LEGO! We have decided to publish this review in two separate parts. 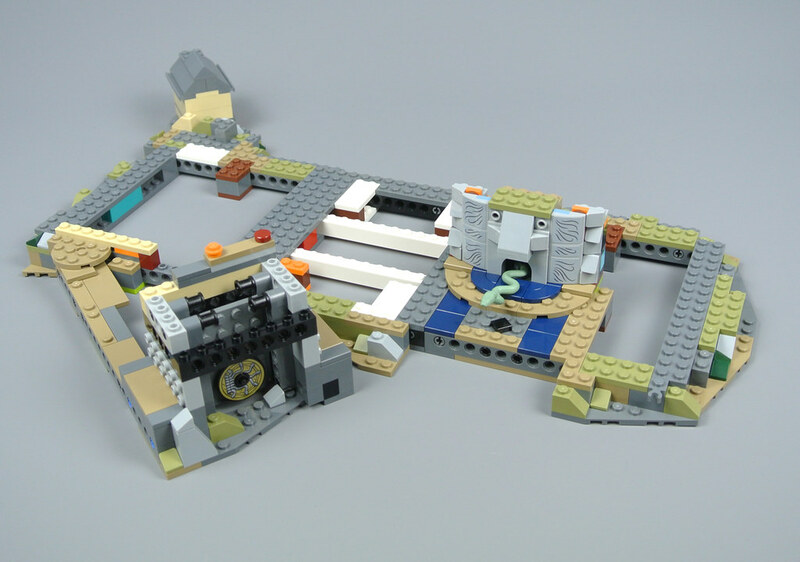 The first is focused upon the minifigures, the tiny trophy figures and the building experience. Hogwarts Castle is probably most visually striking when viewed against dark skies and I am delighted that this design was chosen for the box artwork. The full moon in the background looks fantastic and I love the Dementors, as well as Arthur Weasley's enchanted Ford Anglia, which occupy that section of the image above the castle. The reverse features several shots of the interior and some demonstrating the functions. The box contains 37 numbered bags and four bags without numbers, holding some larger pieces, along with four instruction manuals. 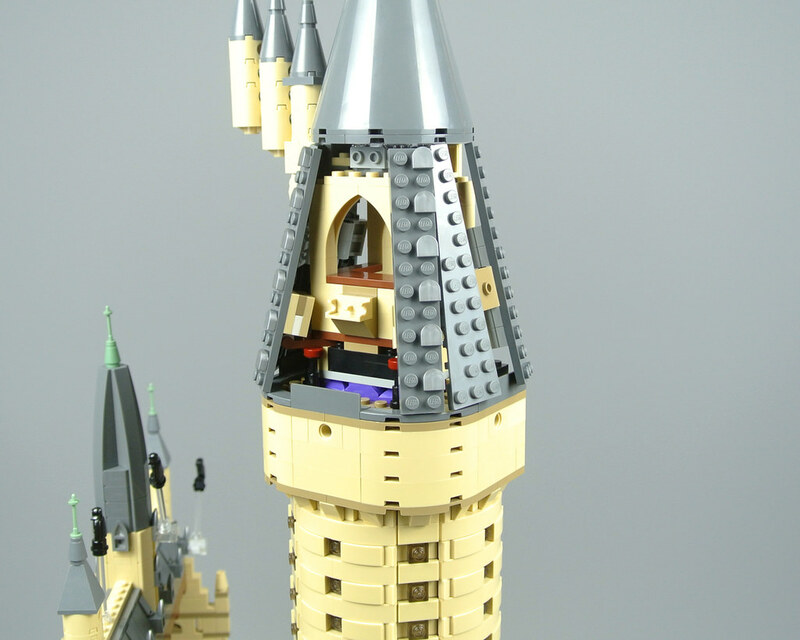 In addition, 71043 Hogwarts Castle includes a total of 75 stickers which is daunting, although I think most of these stickers are necessary as it is not always possible to depict smaller details in scale with the tiny trophy figures. 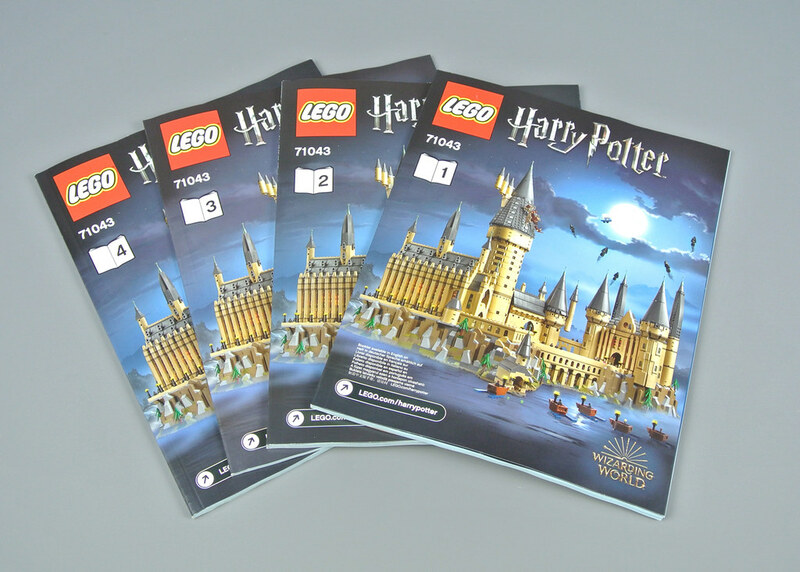 A few pages at the beginning of the first instruction manual provide some information about Hogwarts School of Witchcraft and Wizardry as well as its four founders. There is also a short interview with Justin Ramsden, the set designer, along with Crystal Marie Fontan who created most of the graphics for this model. It was particularly interesting to read that the number of pieces in this set, 6020, is a direct reference to 6020 Magic Shop which was one of the first sets to include a wizard minifigure! 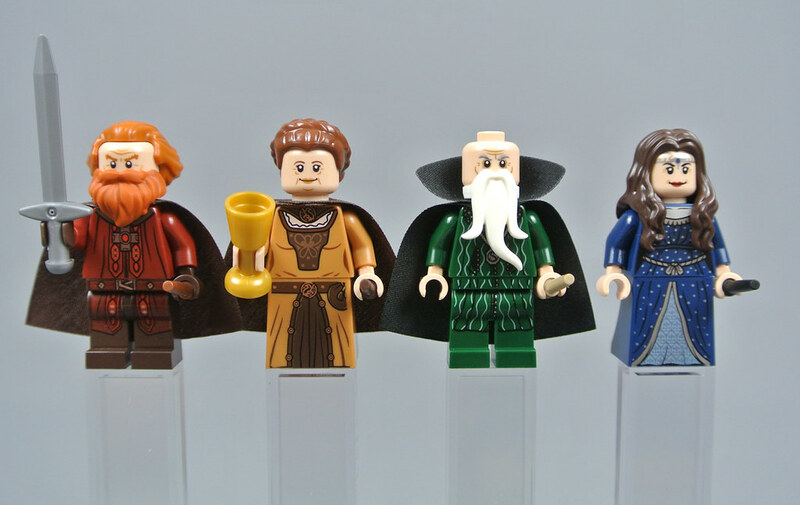 The founders of Hogwarts are only available in this set and do not appear in either the Harry Potter books or the films, having lived during the early medieval period. 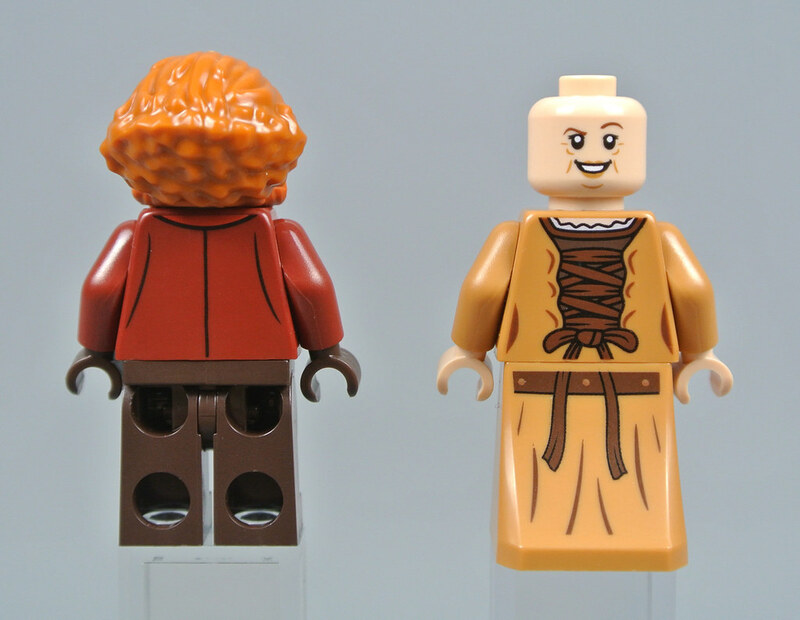 Their appearance is therefore rather nebulous and these minifigures take inspiration from a couple of sources. 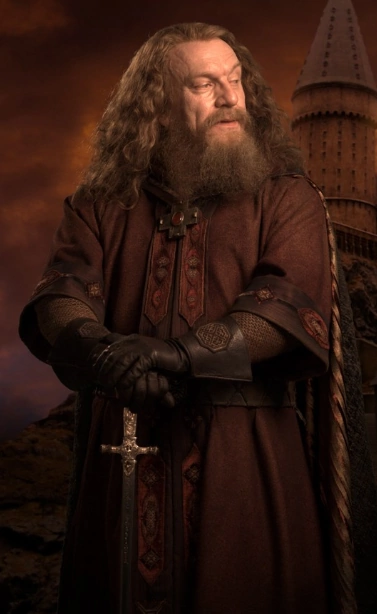 Godric Gryffindor wears a dark red robe so closely resembles a portrait on display at The Wizarding World of Harry Potter, although his bushy beard is more like the character from Pottermore. He looks marvellous, featuring a hair piece which is new in dark orange. 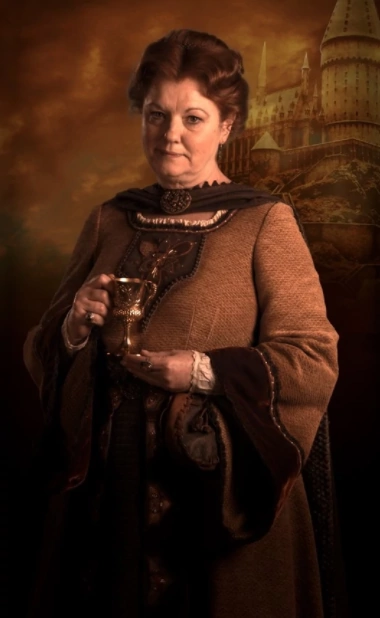 Helga Hufflepuff, on the other hand, is very clearly based upon the portrait from The Wizarding World of Harry Potter. Her friendly facial expressions look wonderful and I like the character's medium nougat dress, featuring some lovely metallic gold highlights on the front alongside reddish brown straps on the back. Helga and Godric both wear dark brown cloaks which are made from a stiff material rather than the new, softer version. This can probably be attributed to Salazar Slytherin, whose cape includes a large collar which is only available in the stiffer material. 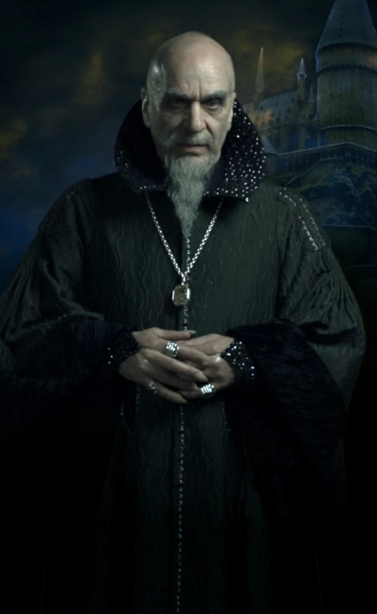 His dark green attire is decorated with a series of wavy stripes and the sinister wizard wears a golden locket around his neck. This will later be transformed into a Horcrux by Lord Voldemort. Removing the beard and cloak reveals a lovely starry pattern around his collar which matches the portrait from The Wizarding World of Harry Potter exactly. 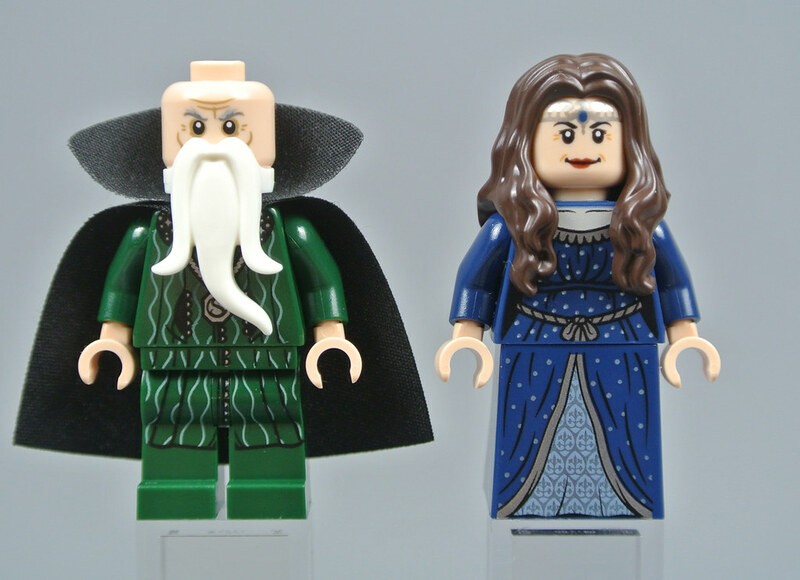 Rowena Ravenclaw is my favourite of these four minifigures. Her dark blue dress is decorated with some beautiful silver highlights which really stand out under certain light conditions, complimented by the similar colours around the lining of her dress. Its bright colour scheme most closely resembles the illustration from Pottermore, where Rowena's diadem is visible. That is also represented on both sides of the head and will become another of Voldemort's seven Horcruxes, just like the locket belonging to Salazar Slytherin. Each character is equipped with a wand of a different colour and another of the Horcruxes created by Lord Voldemort's is also included as a separate accessory. Helga Hufflepuff's Cup is represented by a golden goblet which looks alright, although a trophy with handles would have been more suitable. The Sword of Godric Gryffindor may also be improved, perhaps by dual-moulding the blade and the hilt in different colours. 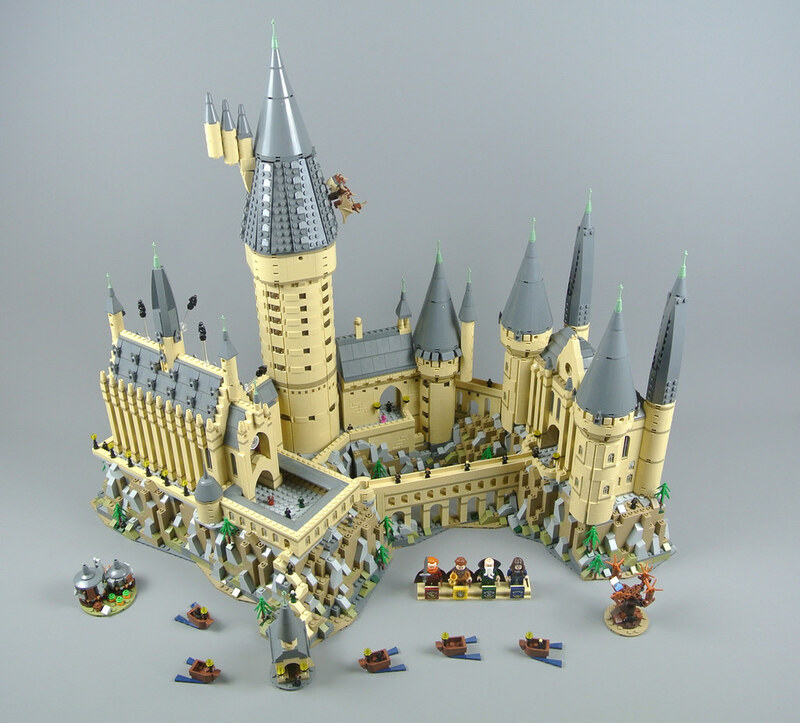 Hogwarts Castle is an enormous environment so is constructed at a small scale which suits the trophy figures. 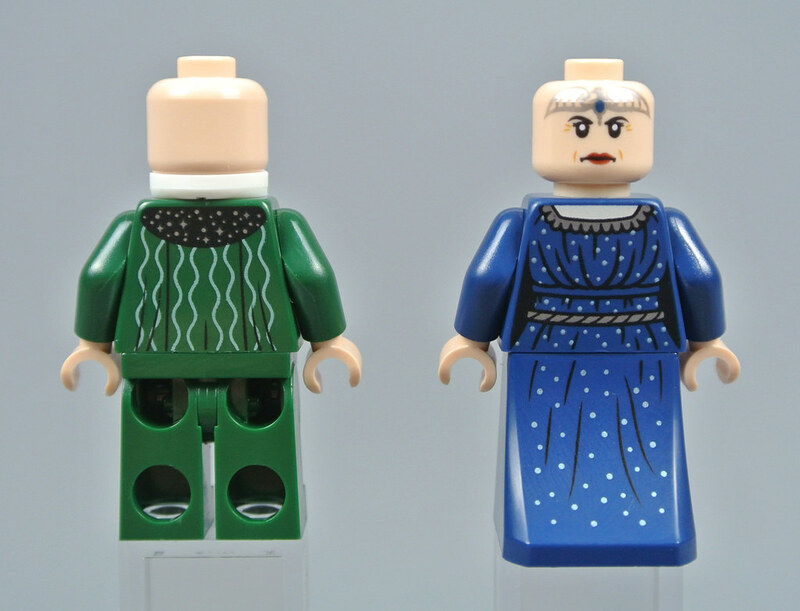 These were introduced in the Series 2 of the Collectable Minifigures and are decorated with intricate designs so each character is recognisable, despite their tiny size! Harry's round glasses look great while both Ron Weasley and Draco Malfoy are distinguished by their striking hair colours. The only figure that could perhaps be improved is Hermione, although a new element might be required for that. The pupils wear a dark bluish grey jumper with their house colours and the set includes three generic students from each Hogwarts house, in addition to the many named characters. I appreciate the range of different skin tones and their uniform designs look marvellous, capturing greater detail than has been possible on the majority of past trophy figures. Six different professors are also included, ranging from beloved characters such as Albus Dumbledore and Minerva McGonagall to the enigmatic Severus Snape, whose greasy hair is instantly recognisable. Remus Lupin and Argus Filch are not decorated with such bright colours but still look excellent on the whole, although I think Lupin's beard is slightly too prominent when compared with the moustache. Lord Voldemort sports dark green clothing and his white skin tone is unique so this figure stands out within the group. His expression does not convey very much emotion which is unfortunate and I think Bellatrix Lestrange suffers from a similar issue as the character is rarely seen without a cruel grin onscreen. Her lipstick looks brilliant though and Dolores Umbridge's bright pink attire is superb. 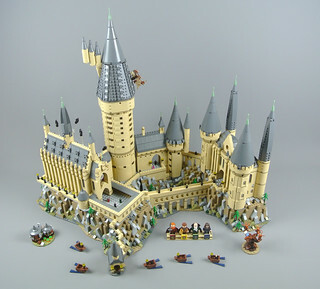 A statue of the Hogwarts architect, two chess pieces and five Dementors are included as well but they are not printed. Building this set follows Harry Potter's journey through Hogwarts School of Witchcraft and Wizardry, commencing with a ride across the Black Lake before arriving at the boathouse. Five small boats are included and these make ingenious use of a reddish brown window frame that forms the hull for each vessel. This building technique would be unsuitable for structural assemblies but works perfectly here. 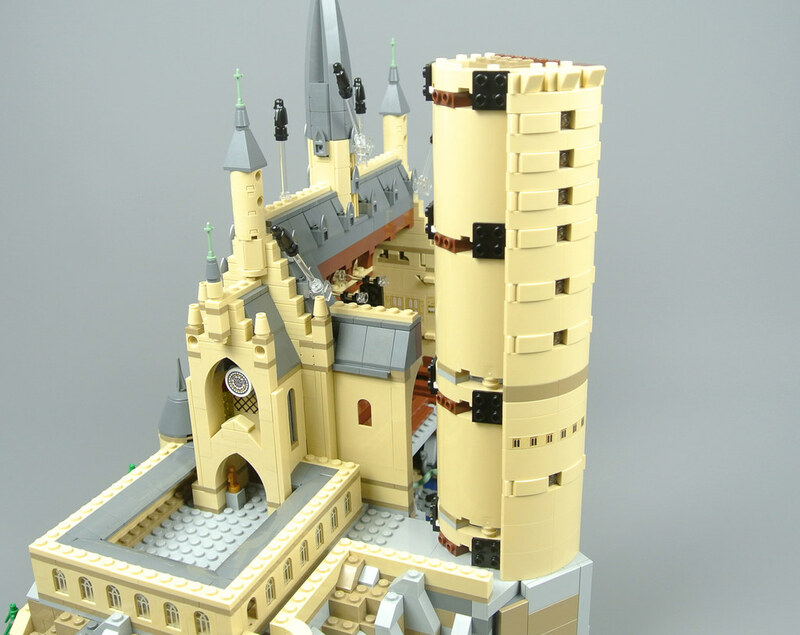 Hogwarts Castle stands in the Scottish Highlands and its rugged surroundings form an integral part of this set. 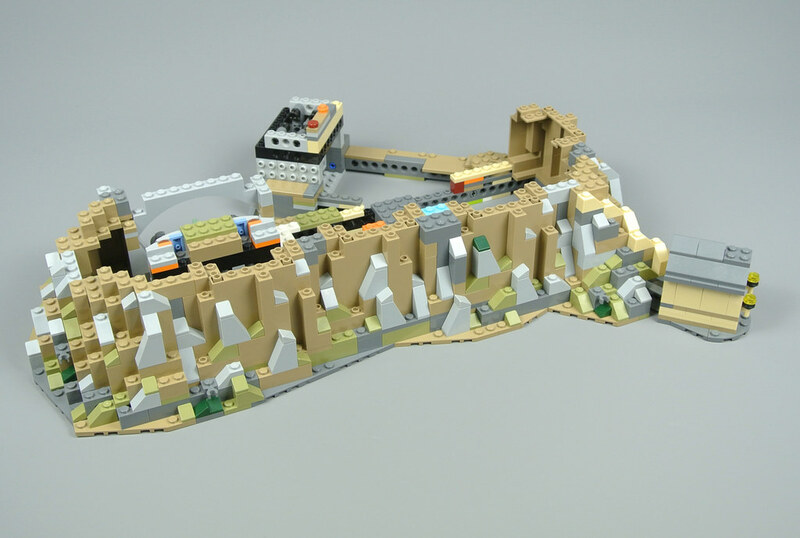 A large Technic frame is therefore required to support the model as the combined weight of the cliffs and the buildings on top is quite substantial. The assembly is fairly simple but it provides adequate support and every Technic element, exposed at this stage of construction, will be concealed by its end. Another section of the Technic base is connected at an angle of 35 degrees, using hinge plates. This feels remarkably strong and features the entrance to the Chamber of Secrets while the chamber itself occupies a neighbouring area of the base, underneath what will become the Great Hall. Constructing these smaller details makes a welcome change from assembling the model's superstructure. 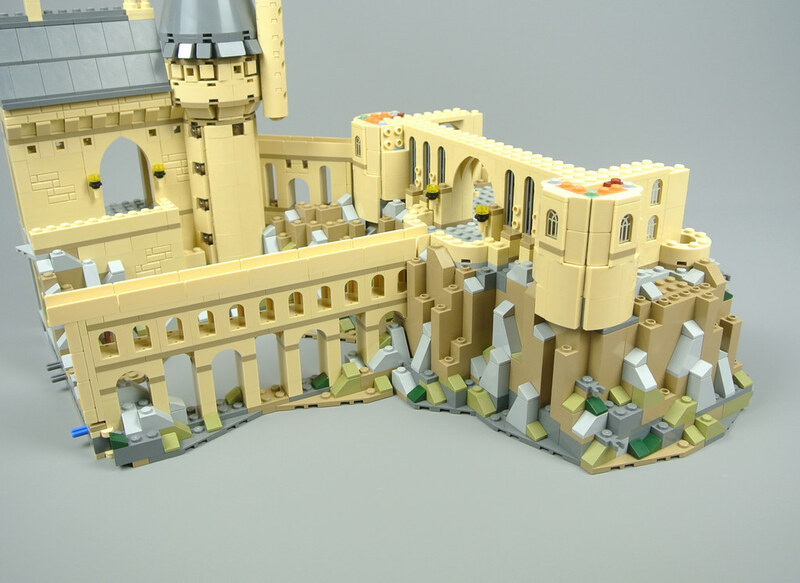 The sheer cliffs surrounding Hogwarts Castle consist primarily of large rock elements, although the liberal use of slopes in varying colours ensures that impressive detail remains throughout the model. This part of the building experience is somewhat repetitive but it does not occupy too much time and the result looks magnificent in my opinion. An additional Technic frame nestles between the cliffs, lending surprising strength to a structure which is almost entirely hollow. That frame is then covered with a layer of light bluish grey plates to create an absolutely solid base for Hogwarts Castle, despite the absence of any supporting columns inside. With the surrounding terrain complete, attention shifts to the foundations for the Viaduct Courtyard and the Great Hall. A couple of interesting new arch pieces are introduced at this stage, one of which forms arches above the windows while the other is used at the corners of the building. These appeared in the sketch model for 75954 Hogwarts Great Hall which was shown at New York Toy Fair but have not been seen in an official set until now. A row of stained-glass windows dominates the Great Hall and these are ingeniously assembled using 1x1 and 1x2 plates in several transparent colours. Each window is attached to a trans-clear headlight brick and some dark bluish grey 1x2 grille tiles form the came strips which are found on real stained-glass windows. The windows slot neatly beneath the arch elements as their undersides are hollow. The walls are simply constructed using a standard selection of bricks and plates, although the vaulted ceiling is interesting as this serves a realistic structural purpose while also looking brilliant. Pearl silver teeth form a series of dormer windows along the roof which is rather clever and I am glad to see some of the new trans-orange flame components included. Three imposing spires protrude from the roof of the Great Hall. The central tower is the most intricately constructed, making use of 1x1 round tiles with vertical shafts to fit a couple of 1x6 plates upside down. I like how the conical roof has been constructed too, with four sections attached around a central core that features studs on every side. The resultant shape looks perfect when compared with the movies. 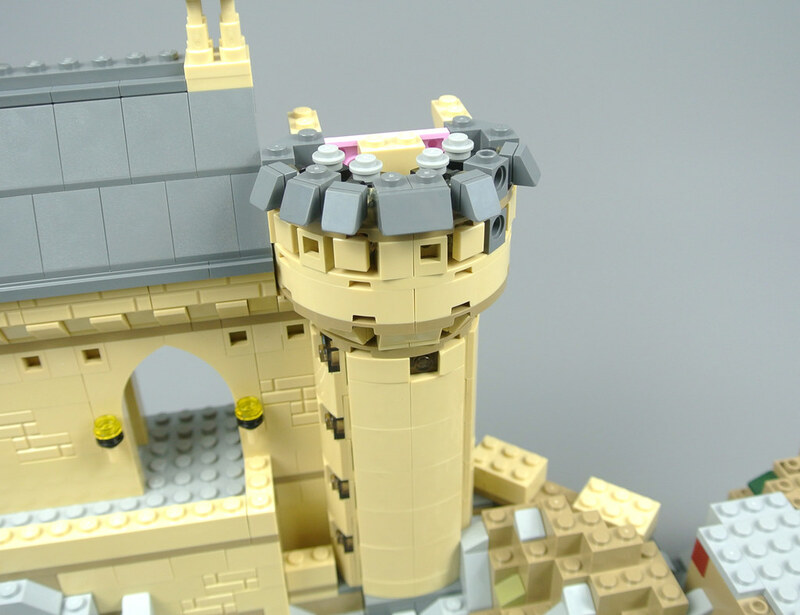 Building rounded shapes using LEGO often presents a challenge and the Marble Staircase Tower must therefore have been very difficult to create. 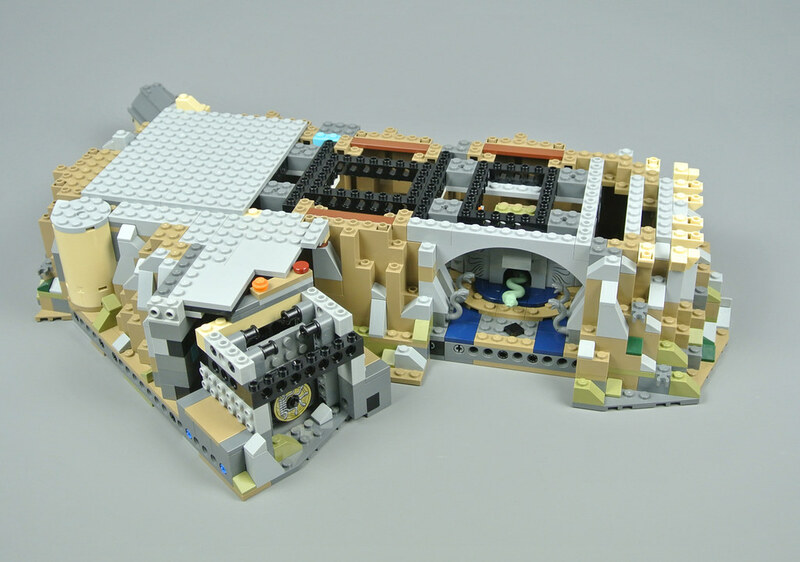 Fortunately, the designers of 21309 NASA Apollo Saturn V recently found a brilliant solution for constructing cylinders and this set employs a collection of similar techniques, using brackets and bricks with studs on the side which are arranged around a column of curved wall panels inside. The exterior consists of three large sections and two narrower strips, forming a consistent cylindrical shape around three sides of the tower. I am quite satisfied with this design and the curved slopes on the outside of the building line up neatly, just as they did in 21309 NASA Apollo Saturn V when it was released a couple of years ago. 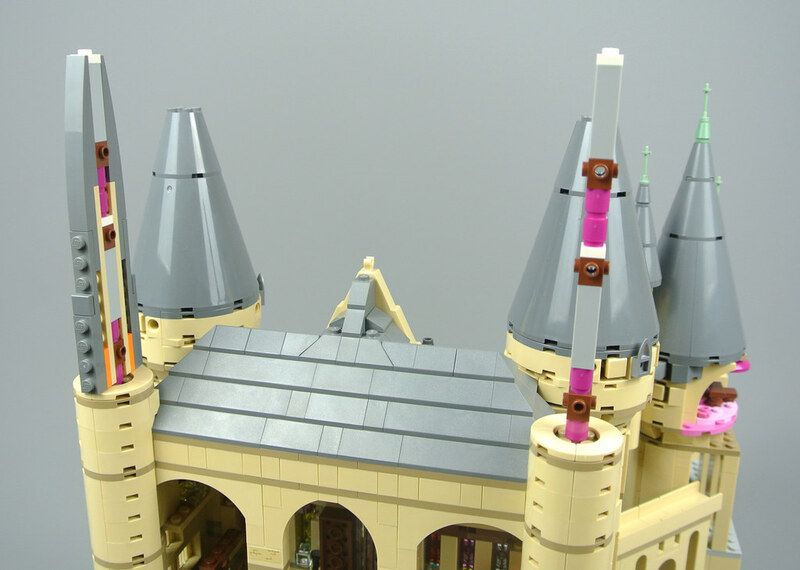 Specialised elements have been used to construct the spires in past Hogwarts sets but this example is too large for those. The designer has therefore made clever use of some 3x12 wedge plates which slot together, forming a conical shape which looks splendid in relation to the source material. These wedge plates require some adjustment to create a completely smooth shape but the final structure exceeded my expectations. 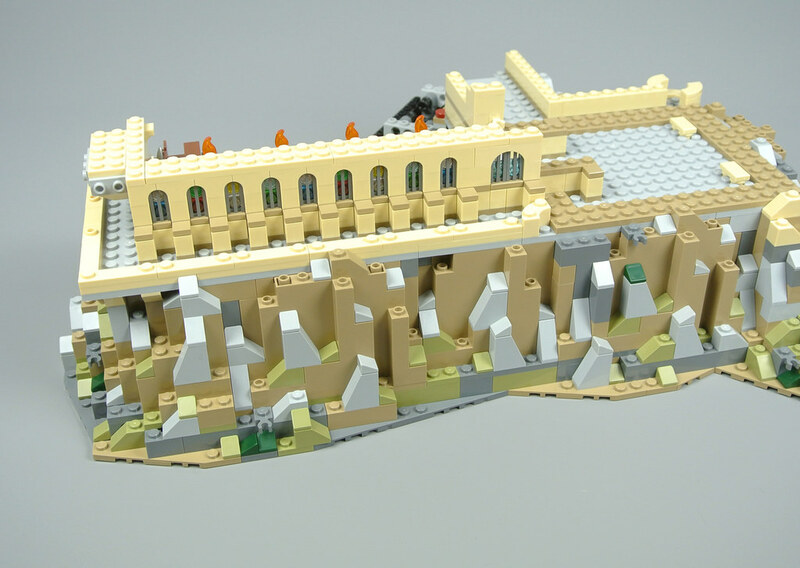 The second section of Hogwarts Castle is constructed similarly to the first, commencing with a Technic frame which supports the entire model. Once again, this feels very sturdy and some colourful elements are used inside, presumably to make the building experience a little easier. Thankfully, these pieces are all completely hidden when the model is complete. 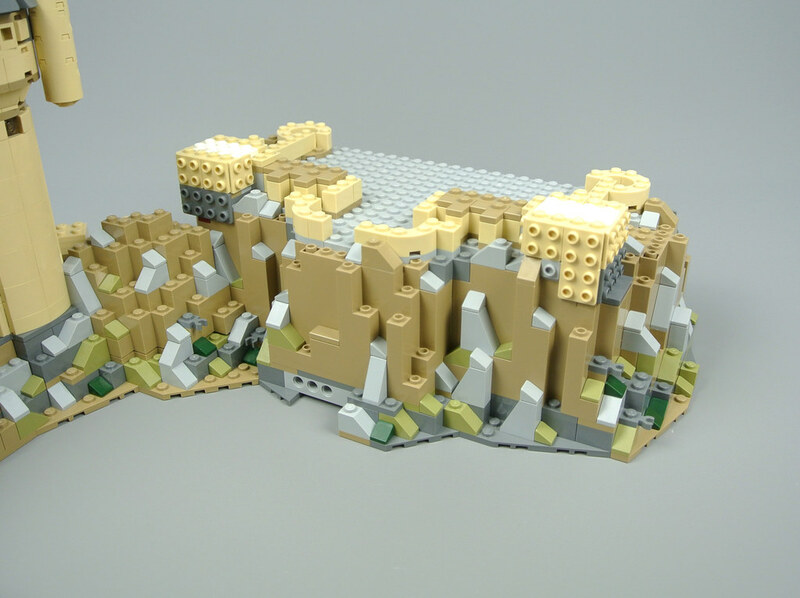 More large rock pieces form the basis for the cliffs around Hogwarts, although a smattering of 1x1 and 1x2 slopes help to disguise the bigger pieces. Building the miniature furniture inside the Room of Requirement and the Potions Classroom is somewhat fiddly but this does ensure that the construction remains interesting as it makes a change from assembling the castle's surrounding environment. A relatively simple building occupies the area between the Viaduct Courtyard and the Viaduct Entrance. This includes several wall panels as well as some 1x2x5 bricks which support the uppermost level. The interior of this structure is heavily reliant upon stickers, unfortunately, but I love how masonry bricks are sprinkled between the standard bricks to generate some textured detail on the exterior. Curved slopes form the cylindrical exterior of the Lookout Tower, much like the larger Marble Staircase Tower. These are attached to a column of brackets, creating a remarkably sturdy structure. However, the curved wall towards the top of the tower is even more interesting as a series of 1x1 tiles and 1x1 slopes are placed at diagonal angles, using the trans-clear hand grips that were introduced in 2016. A similar combination of brackets forms the towers at the front of the neighbouring building. These are carefully integrated with the terrain that surrounds each tower, creating an attractive blend of imposing architecture and natural landforms. 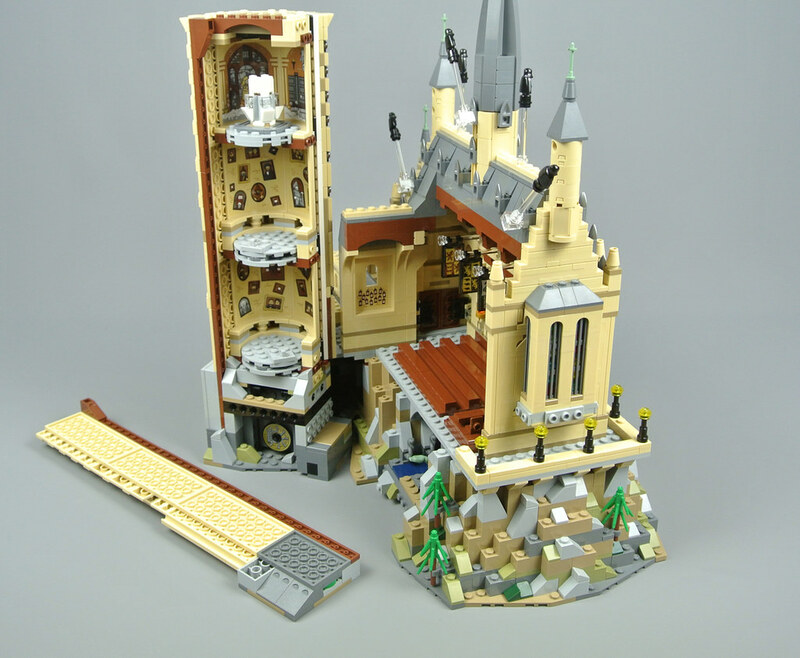 This theme defines the entirety of 71043 Hogwarts Castle and the famous school that inspired it from the Harry Potter film series. The viaduct fits at a slight angle between the Viaduct Entrance and some rocks in front of the Lookout Tower. Actually fitting the viaduct between these two sections is slightly tricky as the space is not quite large enough for the angled bridge, albeit only by a couple of millimetres. The difference is subtle but I am surprised to see a technique like this one in an official set as it must be causing some stress to the rocks on the left of the viaduct. Several more stained-glass windows are assembled around the Viaduct Entrance. This section of the model feels similar to the neighbouring building, although I like the smaller details inside. A pair of 1x2 brackets form the red settees in the Gryffindor Common Room and some reddish brown neck brackets are placed upside down, creating wooden chairs. Both building techniques work perfectly at this scale. The towers on either side of the Viaduct Entrance include the same technique as the Lookout Tower, employing trans-clear hand grips to attach some tan 1x1 tiles which are distributed evenly around the exterior of the structure. The peak of the roof is also attached in an unusual manner, featuring a pair of clips and two 1x4 arches which connect to form a round window. A similar building technique appears in 10260 Downtown Diner. Dark bluish grey 8x4x6 half cones constitute most of the larger spires in this set but the narrower roofs which taper more gradually, like those on the rear towers, are reliant upon a central column with studs on every side. These are quite similar to the central spire that towers above the Great Hall, albeit at a considerably larger scale. 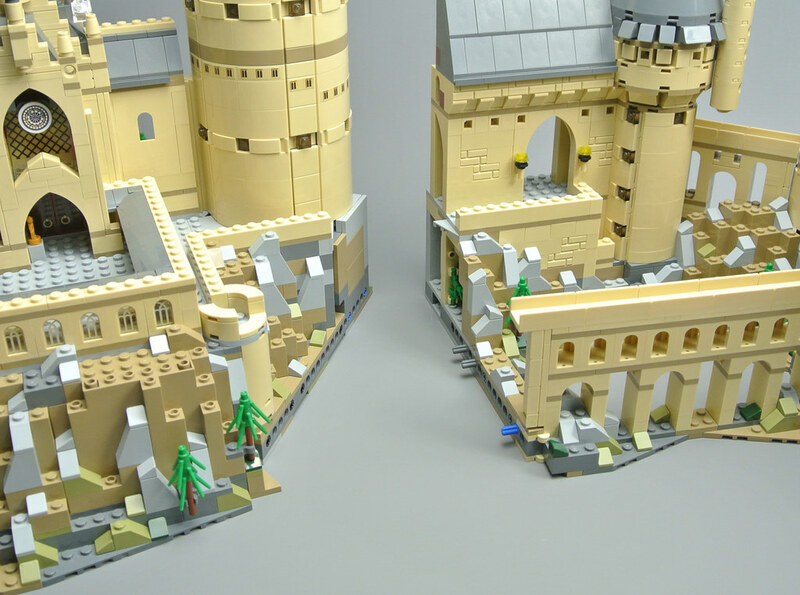 Uniting the two halves of 71043 Hogwarts Castle is very satisfying! Three axles connect these sections and they join together neatly, although there is an extremely narrow gap between them which becomes visible when the model is viewed from above. I particularly like how a light bluish grey 2x3 wedge plate fits into a slot beside the Marble Staircase Tower. 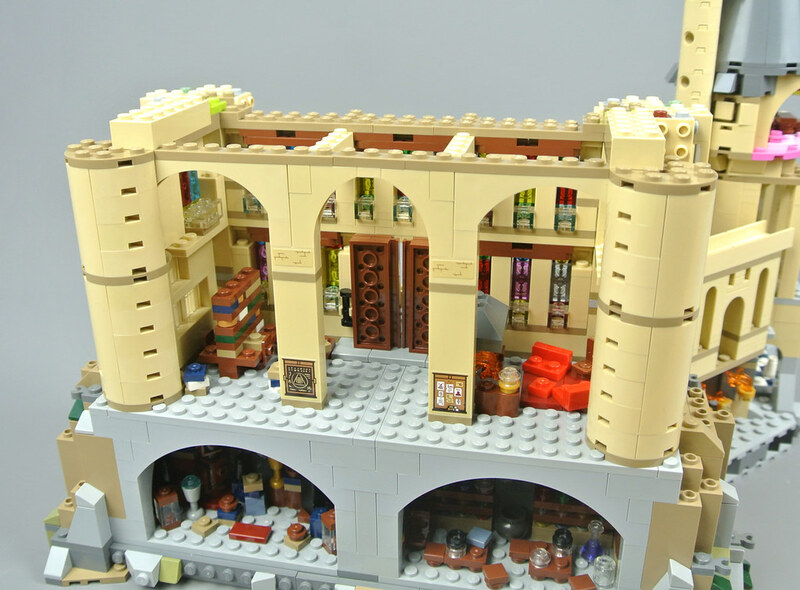 An enjoyable building experience is integral to the success of larger LEGO sets and 71043 Hogwarts Castle fares quite well in that respect. Numerous interesting techniques appear throughout the model, perhaps the most notable of which are the angled plates that form a spire above the Marble Staircase Tower and the stained-glass windows. Unfortunately, those windows exemplify the greatest weakness of the building experience as their assembly does become somewhat repetitive, although that is inevitable based upon the design of Hogwarts Castle. The minifigures are excellent though and I like most of the trophy figures as well. 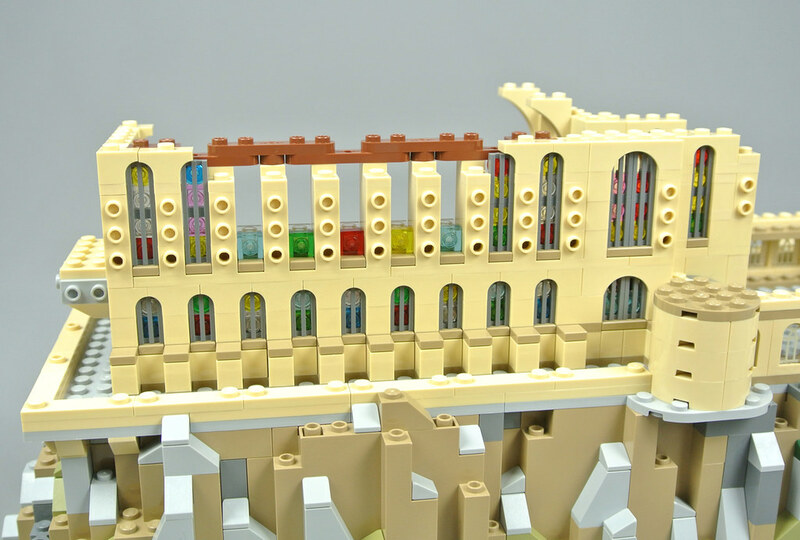 Despite some instances of repetition, I enjoyed building this set and hope you have found the first part of this review informative. Let us know by liking this article and share your thoughts on the set in the comments below. 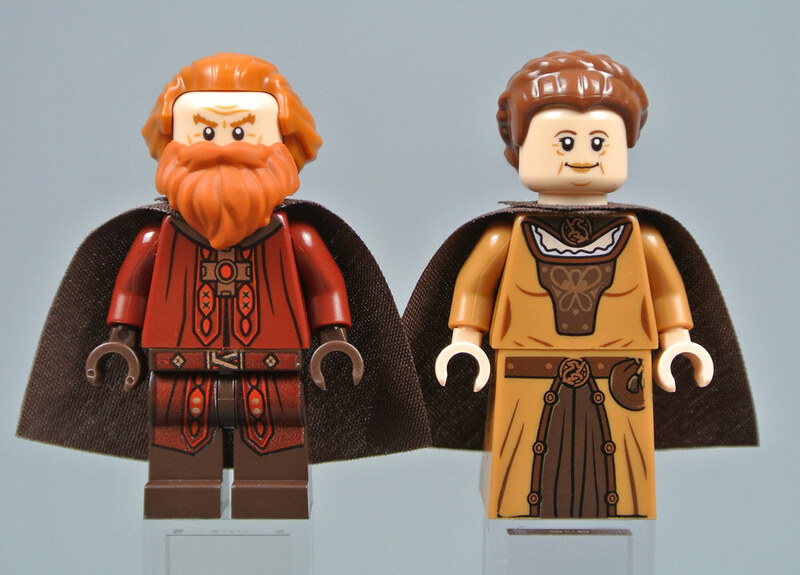 I love how detailed the microfigs are and also the interior detail/ decor is beautiful and accurate, the regular sized figs are great too i love the ginger beard element: 10/10 lego.. I really don't care for Harry Potter but would I do I'd buy this set in a heartbeat. It looks so stunning and in my opinion is perfectly executed. How I wish for something similar but related to Thunderbirds (Tracy Island?) or something else from my youth. Maybe someday. Can't wait to pick this one up. So well done! The stained glass windows are a remarkable feature. My challenge is now to find the perfect display angle so natural light hits the windows as much as possible. Was a fun build with some very cool new techniques. 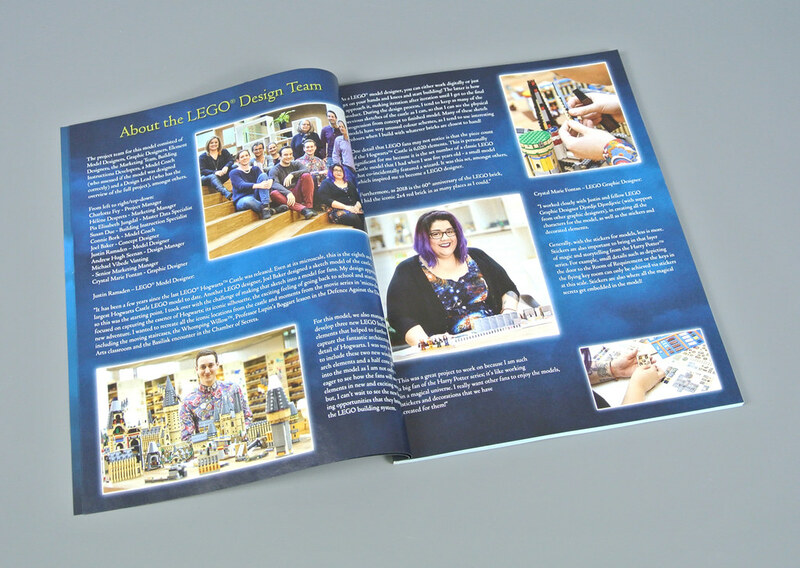 Bit dull, and I think the instruction booklet could have used a larger section about the designer rather than about the graphics lady. What are the dimensions of this at its longest and widest points? Just wondering what kind of shelf it would require to display this! Has to be the most stickers of any set. But it's a big set so it's forgivable. The track inspired Speed Champion cars will never be dethroned in the "stickers per piece" category. I wonder if the illegal/questionable assembly of the viaduct could be addressed. Jang made a video about it, and it seems like a notable downside to the build. Well done, LEGO. Well done. I saw this on display at Lego House last week and it looks just amazing. IIRC Ninjago City actually might have more stickers than this set. The number of stickers in the Firehouse HQ is not to be sneezed at either. personally I do not remember having the problems Jang noticed. And in the comments under his review there were others who did not really notice any issues. So not sure whether Jang is more sensitive to this issue, or that I (and others) simply did not pay enough attention and 'built through it'. thanks for the thorough review. It is an enjoyable read, and your experience mirrors mine quite a bit. Personally I did not find the construction of the glazed windows repetitive (or tedious), but I can see where you are coming from. The biggest issue with this set is finding a place to display the castle. 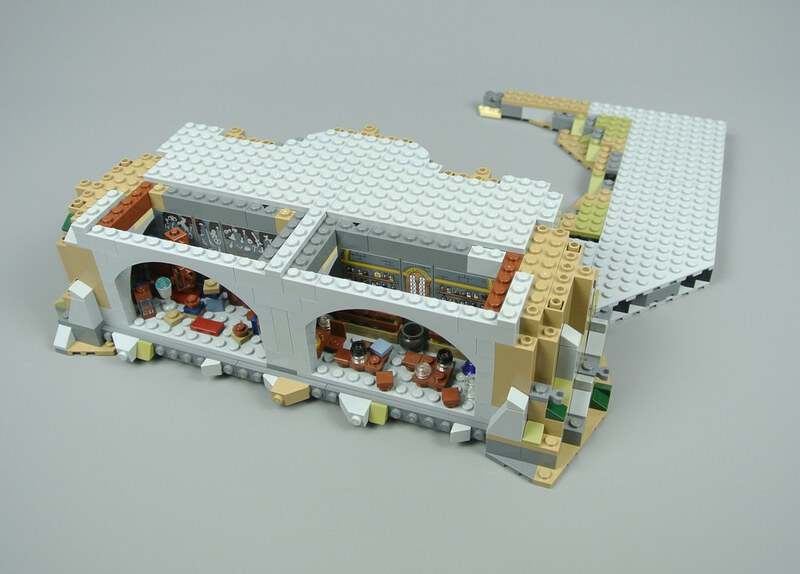 I love this set for its intricate exterior that surpasses all previous models, but I think the interior was unnecessary. A more complete exterior would have been a better use of the large parts count. The set looks amazing! I've been a star wars collector since '99, and getting bored of "gray" lol, this will be getting some shelf space in my house very soon ?? I was a bit disappointed when I saw this in real life, although I can’t quite ariculate why. I was pretty hyped by the photos and pre release material, but just found the real thing a bit underwhelming. This set is looking pretty awesome. Can't wait for Part 2. On an unrelated note, the pop-in advertisements on this website over the years have become increasingly unbearable. I hope you're able to one day scale back. They're popping up on the top, side, bottom, within an article (between pics and text), etc. It's overwhelming. @speshy, you don't see any adverts if you're logged in. @Jackthenipper, I agree. It looks like a fun build, but the end result was a bit underwhelming when I saw it at the local Lego store. I think it's too scattered and doesn't feel robust as a castle should. The "rocks" base I found to be a bit repetitive and something about the colour plate was too bright. It's a bit dull to look at. I think a better solution would've been to design and sell each section separately, in addition to a base that you can get to assemble all parts to one big castle. such a great looking set and love the way they created the stained glass windows. I wonder how long it takes to build the set. I respectfully disagree with the comment on an unnecessary interior. A set such as this, a display piece, demands both a detailed exterior and interior. I saw this in store today. Looks great. I do have a concern about display due to it's irregular base. I think it's great, go back 20 years and no one would ever have imagined we'd get a set like this. 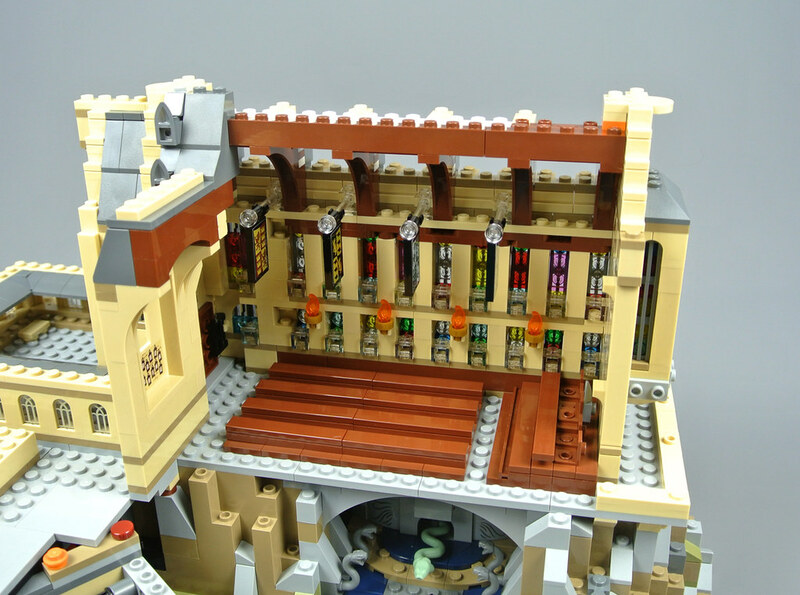 "It was particularly interesting to read that the number of pieces in this set, 6020, is a direct reference to 6020 Magic Shop which was one of the first sets to include a wizard minifigure!" That seems awfully contrived, but okay. 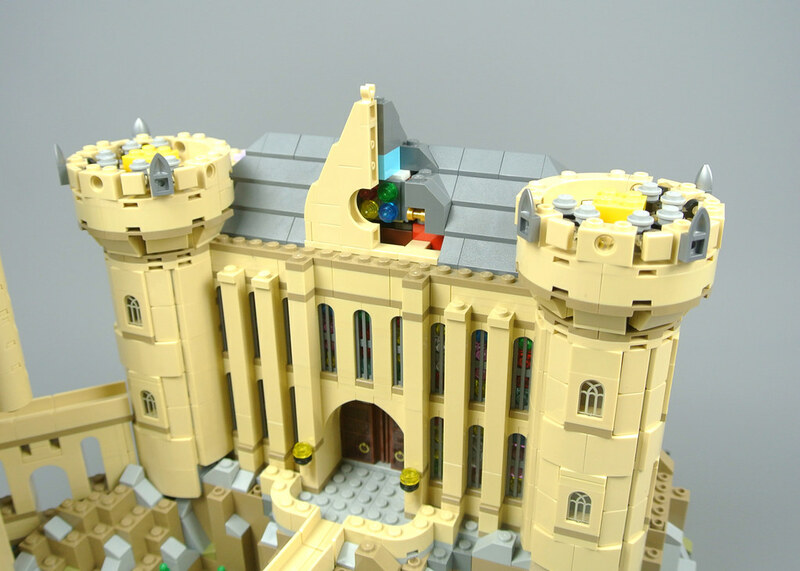 Non HP fan, neither books nor movies, but as a Lego set this rendition of the famous Castle (or school) is stunning. I really like strongholds and medieval architecture, so this could be something I would dream to have or build of course. I don't care about the scale, it doesn't bother me at all, I mean a minifig scale would have been less complete and of course so much more expensive than this one - which already is pricey enough to make it difficult to get for any average budget. I don't know how many people or fans will be able to afford this. But might be a must have for any HP fan and collection. In haste to see the next part of your review. Thanks for this first one. 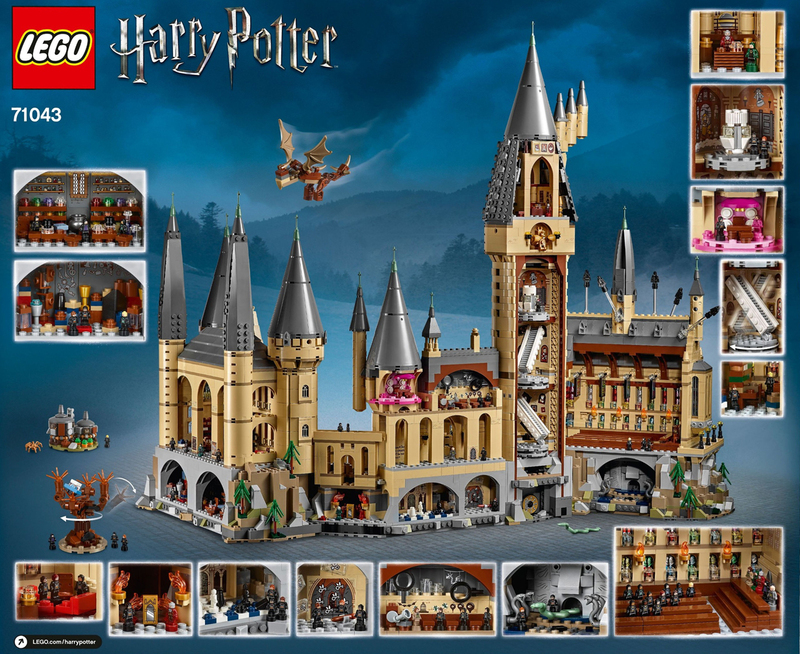 @elangab - it might even just be that I think they did such a nice job with the Great hall and Whomping Willow sets. I’m pretty easy to please with the bigger sets - but as you say the sprawl and the other issues detract from it. It looks like such an awkward one to display. All that said, I’d love to build one - just not keep it! The amount of stickers in this set is just crazy. A lot of those stickers could've (and should've) been prints. The crazy amount of stickers this set contains is what's keeping me from buying it! I love HP and I really like this set, but not a fan of micro scale. However, the more I see this set, the more I like it. @Guyon2002 At this price point I think a set of spare stickers should be standard - the thought of applying them to internal curves... ugh! 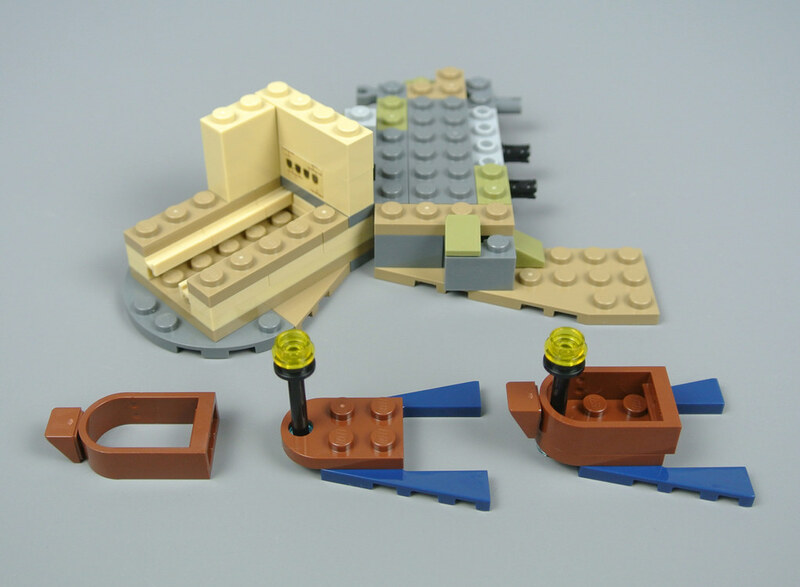 I really miss baseplates included in the sets. For the past decade (or more?) 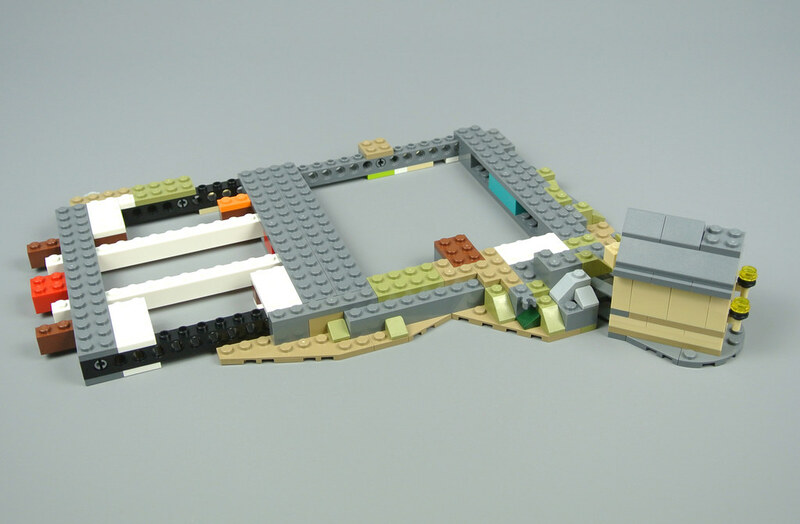 LEGO does not make sets with baseplates included. Such a shame. The minifigures are spectacular. I have seen this set at the Lego store and was even more impressed with it in person. I'm still on the fence with this set. In general it looks really nice, but I'm not entirely convinced by some of the microfigures (especially the hair), and I have absolutely no clue where I would put something this massive (at least 75192 was short enough to easily fit on a shelf). I look forward to the second part of the review. Very much on the fence with this one. It's a beautiful display piece, but doesn't fit in with the rest of the HP line I already own. 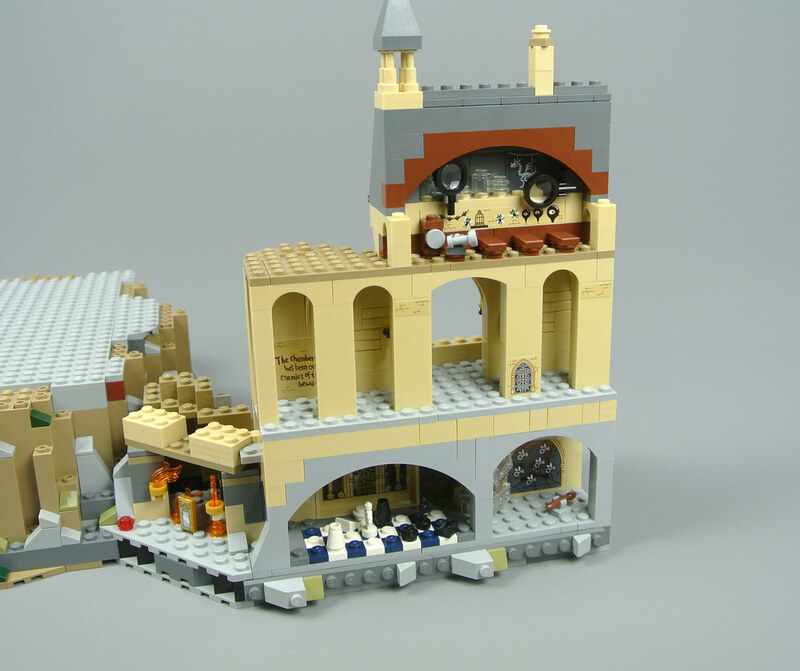 The fact that Diagon Alley is also coming in micro scale worries me that the trend will continue. 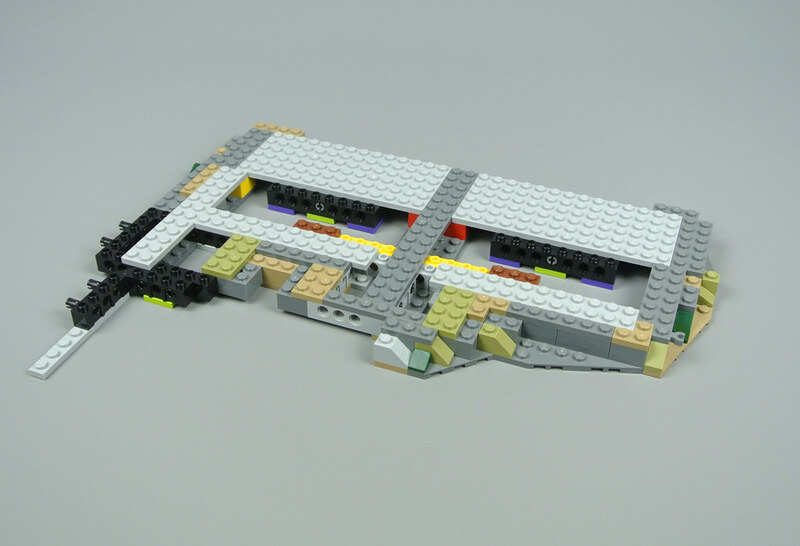 I'd rather see "UCS" sized sets that are still mini-fig scale. All in all a very attractive design! I would probably like to have less interior and more building structures. But either way there will be comments from different sides. Overall it is still a good set. When is the second part of this review coming? I have zero attachment in the Harry Potter universe as a whole, and I do not like trophy figures in general, but wow does this look like a fun build!